Indian hockey had touched a new low when it was handed the wooden spoon during the London Olympics last August, but inspirational skipper Sardar Singh feels the summer of discontent is a thing of the past now. Not even a single win came India's way during the London Olympics as the national game experienced one of its darkest hours but a strong showing in the Champions Trophy and Asian Champions Trophy instilled a fresh lease of life into Indian hockey. "We have left it behind and moved on. After London Olympics, we performed well at the world's best tournament, Champions Trophy and finished fourth. I, as a skipper, motivated players to perform well and forgot about Olympics," Sardar said. "The players did well and their hard work paid rich dividends. We defeated world's best teams, New Zealand, England and Belgium in the tournament. In the Asian trophy, we were unlucky as poor umpiring cost us the final against Pakistan other wise we would have won it," he added. Reflecting on the London Games, Sardar said: "It was disappointing and hurt us. After we qualified for the London Olympics, our coach Michael Nobbs and trainer David John made us work hard for the remaining 5-6 months before the Games. We practiced day in day out. The team members were away from their homes and spent most of the time on the astro turf. "The one month camp in Spain before the Games, we played four-nation and three-nation tournaments and the world's best teams were there. We performed well in those particular tournaments. We were unlucky that when Olympics started and barring our first match, we did not perform well in the next matches," Sardar said. For Sardar, the script went awfully wrong at the London Games because of three reasons -- man-to-man marking was not up to the mark, players weren't aggressive in the 'D' and ball trapping was missing. "The man-to-man marking was not good at all. Trapping and ball release was missing. We weren't as aggressive in the D as we would've wanted. There was no communication between the players. So these things let us down. Had we performed well in these areas, the results would have been different," Sardar said. The disastrous Olympics campaign saw the axing of experienced players such as captain Bharat Chetri, drag-flicker Sandeep Singh, fullback Ignace Tirkey, forwards Tushar Khandker and Shivendra Singh. "Senior players performed to their fullest but luck deserted them during the Olympics. We practiced hard but could not make our efforts count when it came to performing at the biggest sporting spectacle on the earth," said the 26-year-old from Rania, Haryana. "For us, the Olympics was a do or die tournament, we had to perform there. Bharat, Sandeep, Tushar and Ignace, all are still very good players but they failed at the Olympics. Sometimes, it happens when you fail to perform at a particular tournament," he added. 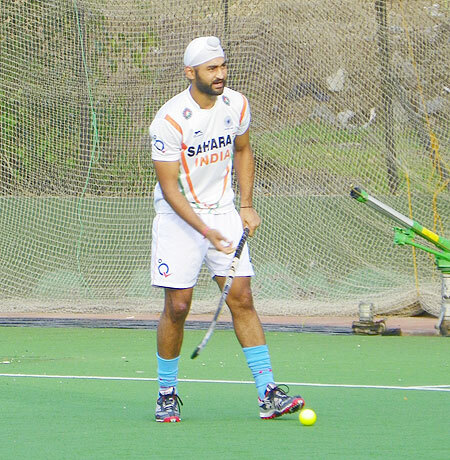 However, Sardar, who will be seen dribbling the stick for Delhi Waveriders in the Hockey India League (HIL) beginning tomorrow, exuded hope that the senior players will soon stage a comeback through some stong showing in the five-franchise domestic league. "They still have 4-5 years of hockey left in them. They are young and talented. This (HIL) is a best opportunity for them to make national selectors sit and take notice of their game. They will make a comeback and help India win many more tournaments," he said. Talking about himself, Sardar said he was a little disappointed at not being named FIH World Player of the Year. "I felt a little disappointed. We were playing our 3-4th classification match in Champions trophy and that day FIH were to announce the name of the winner." "Just before the match, I came to know that German captain has won it. It did not affect me much. If I've not won it this time, this means I need to work hard to get it some day. I hope to again feature in the award category this year too." 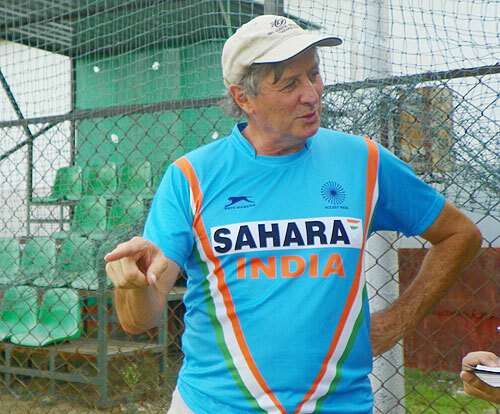 Sardar has credited Nobbs for the turnaround of Indian hockey and said the Australians' emphasis on making the team play aggressive Indian style of hockey has helped a lot. "He is quite frank with us. He is like a family to us; you can call him big brother. He is easily approachable not only to seniors but those who have just joined the team. He informed us about the attacking hockey, which part of the ground one has to take the risk and where you have to release the ball. These things helped us in fine tuning our game. Barring Olympics, we performed well in every other tournament under his able leadership," said the centre half. Sardar, who became the highest-paid marquee player at $ 78,000 in the HIL auction, said the league will help the Indian players improve and they will get good exposure against the best international players. "The Hockey India has taken a right step in reviving the sport in the country. It will help us a lot in improving our game. Some 53 Olympians are featuring in this league and former and present FIH Players of the Years are also participating, so it's going to be an exciting contest between five franchises. It's good for world hockey and world's best event is taking place in the form of HIL. "We don't get enough chances to play against powerful teams like Germany, Spain and Australia; we only meet them in major tournaments once in every 2-3 years. This is a good platform and I am feeling proud that the best players have come here. It's important for the youngsters to learn from them how to handle the pressure, their body language before the match and positive mindset," he added. Talking about his team combination, he said, "We have got some world class players. All the foreign players are best of their respective national teams. Experienced Indian players, who are currently part of the national squad, are also there in our team. We have got a good team combination and we understand each other's game during the practice sessions. We are ready for our tournament opener." Are Chelsea fans done with under-performing Torres?